Save The Date for the NORD Summit! 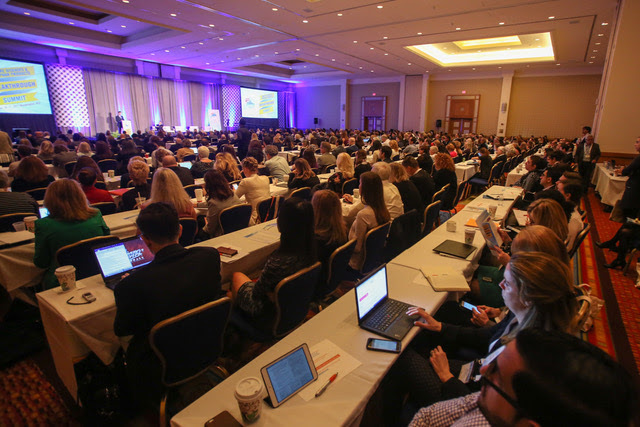 Mark your calendar for the NORD Rare Diseases and Orphan Products Breakthrough Summit, to take place on October 15-16 at the Marriott Wardman Park Hotel in Washington DC. This year’s theme will be “A New Era of Patient-Focused Innovation." The annual NORD Summit brings together thought leaders from across the spectrum of the rare disease community to address issues and opportunities of shared interest. Watch for upcoming news about the program, speakers, scholarships and more! This year marks the 35th anniversary of NORD and the Orphan Drug Act. (The history of the two is linked.) Read a blog about how it all began and why NORD and the Orphan Drug Act were needed. Also, here are 35 ways that NORD serves the rare disease community. NORD’s Rare Action Network™ has grown to become the nation’s largest rare disease advocacy network, spanning all 50 states and including more than 4,000 dedicated advocates who stand ready to mobilize on issues affecting the rare disease community. The RAN “State Report Card” rates states on the strength of policies of importance to the rare disease community, such as newborn screening, prescription drug access and the establishment of rare disease advisory councils. Read the recently released 2018 State Report Card. In response to the recently announced Trump Administration Blueprint to Lower Drug Prices and Reduce Out-of-Pocket Costs, NORD released a statement, which can be read here. The NETRF has announced a new round of funding for basic, translational and clinical research. Interested applicants should submit a letter of intent by June 13. The NETRF mission is to accelerate scientific discovery to help create new and more effective therapies for carcinoid, pancreatic, bronchial and other types of NETs. More. Victoria Jackson, founder of the Guthy-Jackson Charitable Foundation, was honored for advancing understanding and funding for neuromyelitis optical (NMO) and related disorders at the recent Fourth International Vatican Conference. Read the Foundation’s blog about this event and current NMO awareness and research activities. Join the Dup15q Alliance and the Angelman Syndrome Research Foundation from August 6-7 for world-class scientific, translational and clinical presentations. This symposium allows for the sharing of unpublished work, which leads to conceptual discussions with an outstanding community of researchers and clinicians, and helps to accelerate therapeutic opportunities for both disorders. Register now. Since 1988, Cure SMA has hosted an annual conference for patients, caregivers and healthcare professionals. This year’s event will take place in June in Dallas. More. Cure SMA is also conducting a survey of pediatricians to assess baseline awareness of spinal muscular atrophy. The 2018 Physician Survey can be accessed here. Genetic Metabolic Dietitians International held their biannual meeting in Orlando Florida in April 2018 during which the National PKU Alliance represented by executive director Christine Brown and PKU Registry coordinator Eileen Blakely presented their poster, "Post Launch Observations - PKU Patient Registry. " More. Join the MDS Foundation on June 9th for their Patient & Family/Caregiver Forum! Whether you are a newly diagnosed patient, a long-term survivor, or a caregiver, this event will give you the opportunity to learn from experts about treatment therapies and strategies for patients and caregivers with MDS. More. The Hydrocephalus Association is holding their National Conference on Hydrocephalus from June 28-30, in Orange County, CA. Join in person or via live stream to hear from world-renowned medical professionals and to connect with others living with hydrocephalus. More. 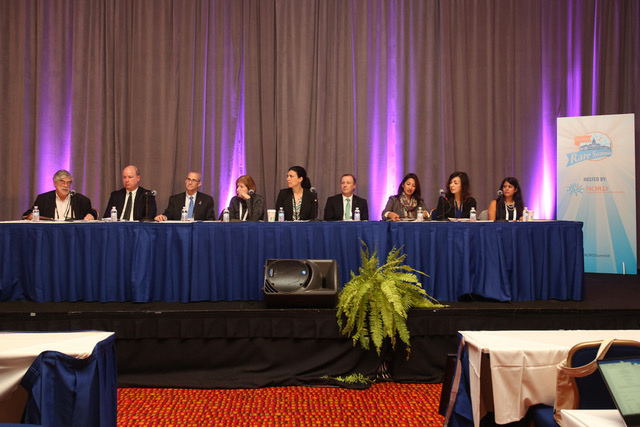 Join colleagues and a diverse panel of speakers for a CME/CEU-certified symposium for healthcare professionals treating patients with hydrocephalus. Participants can attend in person or via live stream. More. June has been designated Worldwide LAM Awareness Month (WWLAM) by the Worldwide LAM Patient Coalition and The LAM Foundation. The LAM Foundation urges you to take part in Worldwide LAM Awareness Month by using #WWLAM on social media. Check out other ways to get involved here. Join us at the FOD/OAA International Metabolic Conference July 6-7th, 2018 in Bloomington, MN! The focus for this conference is for families to learn more about the medical management, nutrition and the social needs of caring for yourself or a child with a chronic disorder, specifically those with rare metabolic disorders. More. PRISMS is hosting their 10th International Smith-Magenis Syndrome Conference in Pittsburgh, PA this July 19-21, 2018. They will be celebrating 25 years of serving the SMS community as they host this multi-day educational event with more than 40 sessions led by experts from around the world. More. The Amyloidosis Foundation is celebrating 15 years of funding research for a cure, and is thankful to donors, patients and their families, and corporate sponsors who have made these efforts possible. The Foundation also recognizes its staff, board members and advisors for their leadership in these endeavors. More. The Global CMTC-OVM US Organization will be hosting their annual conference in Chicago this year, on July 21, 2018. The general session includes informative presentations and free clinical evaluations by the attending physician(s); as well as, a follow-up consultation with our child development specialist or registered nurse. More. Clinicians and researchers are invited to an international conference to take place in Ghent, Belgium, Sept. 26-29 to discuss the molecular, pathogenic, clinical and management aspects of all types of Ehlers-Danlos syndromes. More. Huda Zoghbi, MD, will receive the New York Academy of Sciences Ross Prize in Molecular Medicine for 2018 at the Academy’s upcoming event on June 5. More.